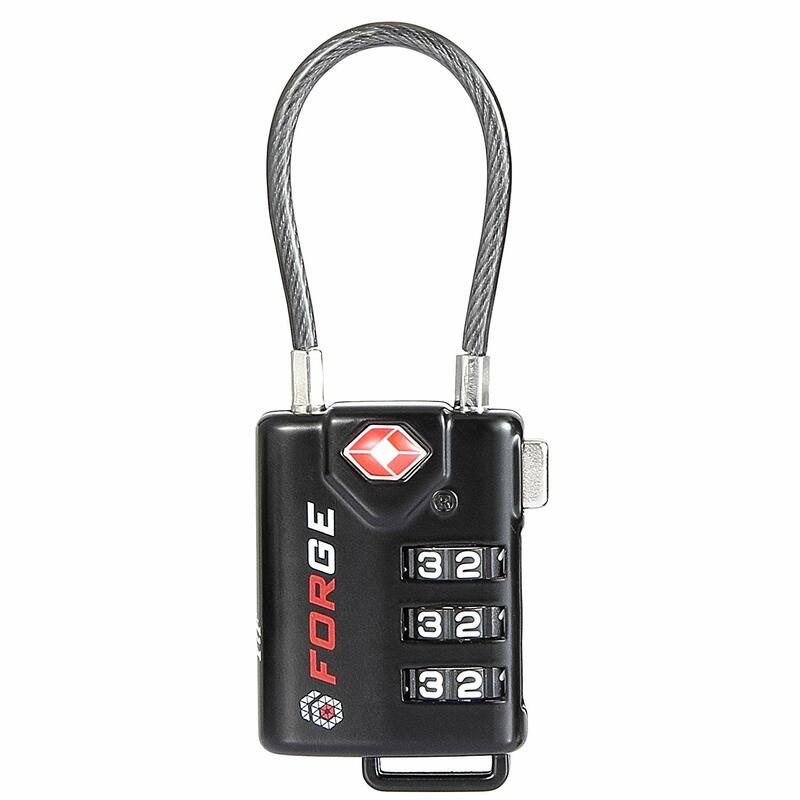 According to Forge, this lock is the “most durable TSA recognized and accepted lock.” In addition to a 3-digit combination code, the lock is made of alloy and has patented internal mechanisms. 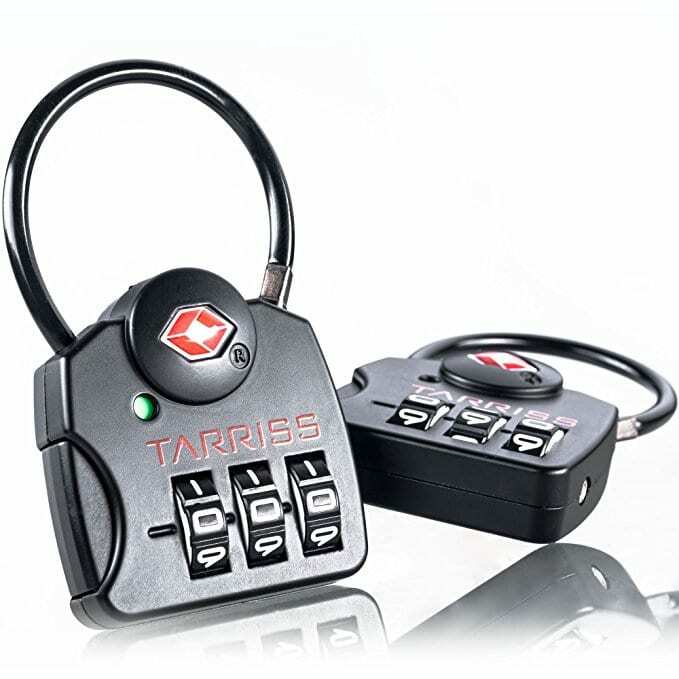 The Tarris TSA Lock is a combination lock with a special Search Alert feature: it has an indicator that switches from green to red if the lock had been opened by an agent so you’ll know that someone has been in your bag. The Pacsafe Prosafe 750 is a TSA-approved key-card accessed lock. Rather than have to worry about losing a key, you can simply put this hotel room-like key in your wallet. Everyone will have their luggage searched by the Transportation Security Administration (TSA) at some point in their life, whether they’ve been flying three times a week or once every two years. The difference is that some people know how to make this a smoother operation. Most travelers use locks to secure their suitcases, backpacks and purses to make sure all their belongings remain safe. Smart. But after you drop off your luggage, it doesn’t board on the plane directly. First, it goes through the TSA, and sometimes, that inspection can be intense. The TSA is supposed to inspect the baggage and often does so by opening it. If the TSA agents aren’t able to open the luggage locks, the agents may have to break the locks. To some, this is an underwhelming experience. To others, it could be a full-on travel nightmare. However, you don’t have to go through this nightmare scenario because now we have TSA-approved locks. Read along to discover our all-time favorite selection of TSA-approved locks for 2019. Let’s start with the most classic design, the no-brainer everyone can use regardless of their age and familiarity with luggage locks. The Forge locks have a padlock design and are made of zinc alloy with the shackles made of hardened steel. The hardened steel tumbler system also adds to their practicality. These locks use an advanced dimple key system, making the locks much reliable than the single bitted key system that can be easily picked. In addition to that, every lock in the package can be opened by every key included, so that takes out the worry of matching up the different keys and locks or the trouble of losing one of them. This means you can carry only one key with you for the whole set and leave the others in a secure place. In case you’re wondering, this only works with keys and locks of the same set, which means no one can use a key from another package to open your locks. This one is a huge advantage. The Forge TSA-approved locks have to be relocked in order to remove the key that opened them. That ensures that your baggage will be ultimately protected after the TSA agents finish their inspection instead of being left open. TSA agents are humans, just like you and me, so the mistake of leaving your luggage open could happen. It’s better to have peace of mind and know that your belongings are safe. If you have had your lock destroyed by a conveyor belt in the past, you know that small and lightweight locks have much fewer chances of getting caught, which is the case for the Forge locks. This also makes the locks versatile and accommodating: they can fit onto suitcase zippers, backpack zippers, briefcases, gym lockers, laptop bags or purses. With all these functionalities, Forge has decided to offer an unconditional lifetime guarantee on their locks, stating: “If you can find a way to break these locks, we’ll gladly refund or replace them.” We like their confident tone! Sometimes, knowing whether your suitcases had been opened by the TSA agents or not can make a big difference. From 2010 to 2014, the TSA had 30,621 claims of missing valuables. In case this unfortunate event happens to you, knowing if your luggage was searched can help you narrow down the places where your items could have gone missing. The Tarris TSA Lock with its Search Alert feature is all about that. It has an indicator that switches from green to red if the lock had been opened by an agent. Even though TSA agents are supposed to leave a note if they open baggage, this feature adds more security and peace of mind to the traveler. This top-notch lock has another brilliant option that sets it apart. Instead of a hard and rigid shackle, it has a flexible cable cord design that is easier to handle through zipper tab holes. If you like the security of multiple-digit locks, then you’re in luck! The Tarriss TSA Lock Search has a three-digit lock combination functionality with big white numbers located on large black dials. This makes it easy to read and line up the numbers correctly without you having to squint your eyes at every number. This feature is particularly useful for people with sight issues. The locks are made of sturdy zinc alloy that comes in more than one color. Every pack has two locks that have a lifetime guarantee — and peace of mind. Four colors available: black, blue, midnight black and red. A genius solution for an all-too-common issue. That’s the innovation of the Lumintrail TSA lock. Remember when you checked two suitcases and were waiting for an agonizing amount of time for each one of them to land on the baggage carousel? Yeah, well, that won’t happen anymore. The Lumintrail lock comes with a four-foot coated steel cable that attaches your suitcases and backpacks together for a safe and efficient trip. Bonus tip: the cable is perfect for securing your bag, backpack, briefcase or suitcase to a fixed object. Use it to attach your luggage to your bed if you’re staying at a hotel or a hostel’s shared room. Set your own 4-digit combination for extra security, and don’t worry about using keys. The shackle is made of steel as well and can resist cuts and breaks. 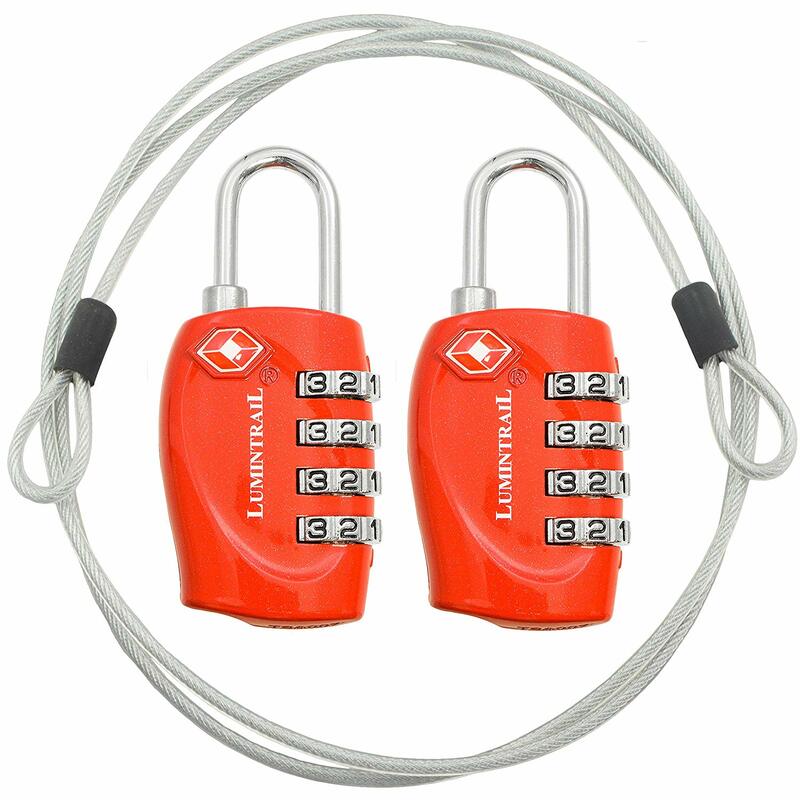 Each set comes with two security travel locks and two flexible steel cables. All packages come with two locks. If you only need one, why buy two? You tried the key locks but lost the keys, and you tried the multiple-digit combination locks but forgot the code. And you know very well that it will ultimately happen again. What if we told you that there is another alternative? We found an alternative that’s easier, faster and that provides just as much security. Say hello to the Pacsafe Prosafe 750, a beautiful key-card accessed lock. We can hear some of the protests: if I can lose a key, how can I be sure that I won’t lose a card? It’s a matter of logistics. You can conveniently slip your key-card in your wallet, inside a notebook or a passport or in any other place where you keep your bank cards and important documents. The thin and lightweight design makes keeping track of it a simpler affair. Unlocking the lock is easy. Insert any punched card corner into the slot designated to this effect and press firmly until you hear the snap of the lock being opened. Closing it works the same as with any other lock: press the shackle down and you’re done. A general rule to keep in mind: If you look closely at the key-card, you will find a code stamped underneath. Copy it in a secure place (write it as a note on your phone or on a piece of paper and leave it at home, or email it to yourself so you can find it easily). If you lose your card, contact their customer service and provide them with that code so that they can replace the card. TSA agents will be able to open and close this zinc alloy lock without a card, so it’s 100% TSA approved. Forge confidently says that this lock is the “most durable TSA recognized and accepted lock.” According to the company, many people consider these locks to be the toughest luggage locks around. Truth to be told, we were a bit skeptical at first. We’re not used to such bold claims. But it seems like Forge puts their money where their mouth is because they backed their product with an unconditional lifetime guarantee. If you, or any other person, could tamper with the lock or break it, Forge will either refund you or replace the lock with another one. Not bad, huh? But we will not only take their word for it. We will also take the word of the hundreds of satisfied customers who tried it. Forge has proven its worth here. The highly trusted material combinations are what drew us to this lock first. We love that a lock can be both practical — easy insertion in zipper thanks to the flexible shackle — and secure with tightly braided and sheathed steel cables. The lock is made of alloy and has patented internal mechanisms, in addition to a 3-digit combination code. If you like picturing yourself as a highly-skilled spy every time you open your luggage, then this is for you. These are not just TSA-approved locks. Once they are opened, they trap any master key that opens them and can only release it if they’re locked again. Smart. What Is A TSA-Approved Lock? The TSA has teamed up with lock manufacturers to create a solution that makes everyone happy: TSA-approved locks. These little jewels of security tech can be opened by TSA master key locks that are available to TSA agents. They’re basically keys that can open almost any lock that falls under the TSA-approved lock label. There are numerous TSA-approved locks to choose from to make your flight a smoother experience. From traditional padlock designs to 3-digit combination locks, you will be delighted at all the functionalities and technologies used to ensure your baggage is safe and easily checked. Why Should You use A TSA Lock? So now that you know why you should invest in a TSA-approved luggage lock rather than a regular luggage lock, let’s take a look at the different types of luggage locks. Combination locks (also known as dial locks) are locks that can be opened with a series of numbers (typically three or four). They are easy to use as you don’t have to worry about losing a key! Just make sure to use an easy-to-remember number so you don’t forget it. Key locks are typically the most affordable type of luggage lock. As the name implies, you simply use a key to open it. The TSA has a master key to all TSA-approved luggage locks, so this type of lock is easily opened if need be. Card locks (also known as key card locks) use a plastic card that looks like a credit card or hotel room key to open the lock. They are easy to use as you don’t need to remember the combination or keep track of small keys. Some manufacturers even sell multiple locks that can be opened with the same keycard. Retractable cable locks are similar to cable locks but feature long, retractable cables rather than one that is a set size. The main benefit is the ability to secure multiple items together. They are great for groups of people traveling who may want to lock their bags together or people who stay in hostels and want to secure their bags together. Luggage locks are meant to protect and secure the inner content of your luggage, while luggage straps (like the above Darller luggage strap) are meant to simply secure your luggage as best they can should your zipper break or your suitcase become damaged. They’re also great at helping people identify their bags at the baggage claim. It’s important to note that a luggage strap is not a lock and will not secure your belongings: it can easily be removed by anyone. If you need to protect the contents of your bag, make sure you invest in a good TSA-approved luggage lock.